BIBLE HISTORY DAILY: Biblical Studies in the Digital Age. How digital archaeology has revolutionized Biblical studies (Marek Dospěl). 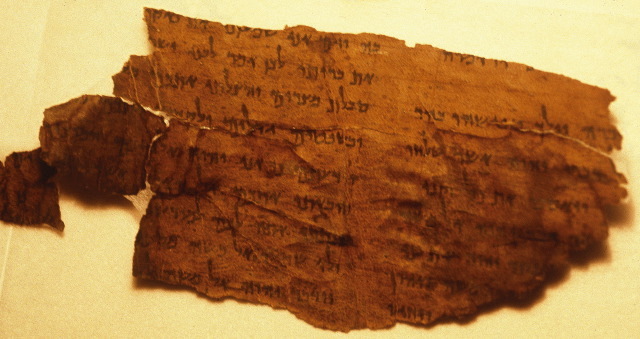 Writing for Biblical Archaeology Review, digital archaeologist Todd R. Hanneken of St. Mary’s University in San Antonio, Texas, provides an expert overview of innovative technologies his team uses in studying an erased parchment manuscript (called a palimpsest) of the Book of Jubilees, an extra-Biblical Jewish religious work composed in mid-second century B.C.E. Studies of badly preserved inscriptions and erased manuscripts, explains Hanneken, benefit most from advanced digital photography, namely from the so-called multispectral imaging and reflectance transformation imaging. Cross-file under Technology Watch. For more on the Jubilees Palimpsest Project, see here and here. And for more on reflectance transformation imaging (RTI), see here and here. ISIS attack near Saint Catherine's Monastery?